Luxury is all about experience, it is all about aspiration, it is about dreams and the well travelled Indian wants to re-live the same international experience in their own country. Over the last few years, with the economy doing well and more disposable income, there has been a change in the consumption pattern of the Indians. The spurt in affluence, and the emergence of a new breed of young population has led to a rapid growth of the luxury sector. 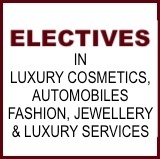 There is a voracious appetite for luxury products such as jewelery, cosmetics, fragrances, electronic gadgets, automobiles to luxury services like hotels, spas, real estates,exquisite holiday destinations, to the big fat Indian weddings. India has become the prime destination for top-notch global and domestic brands. Many high-end luxury brands have set up shop here, some are at the threshold waiting to enter and many more are eyeing India. The latest ASSOCHAM report said ‘India's luxury market to cross $30 billion by 2018'. One of the gravest challenges that the growth of the luxury industry in India faces, is a dearth of skilled and talented persons who understands the Indian luxury consumers, who can understand the luxury product and services, the marketing, financial and operational aspects of luxury and who understands the idiosyncrasies of both the domestic and international Luxury industry. In order to bridge this gap MIP Politecnico di Milano Graduate School of Business - Milan announces the launch of their new Masters Program – 'Master in Global Luxury Goods and Services Management' (MGLuxM), in partnership with S P Jain School of Global Management. The program exposes the participants to the world of global luxury and relates and connects it to the bursting emerging luxury markets like India. The industry centric curriculum and real life projects both in India and Milan would give them a complete grip over the nuances of the developed European luxury markets and the rapidly growing emerging markets. It has been our constant endeavour to offer students a relevant, real-world program in sync with evolving industry needs. As part of that, we are pleased to announce the new structure of the MGLuxM program. Students will now undertake the program in three terms: Term 1 (6 months) in India, Term 2 (4 months) in Milan and Term 3 (2 months) can be spent in India or Milan to undertake a live project. PLEASE NOTE: On successful completion of the program, students will receive an internationally recognised 'Master in Global Luxury Goods and Services Management' degree from MIP. The MGLuxM is accredited by Politecnico di Milano and the degree is approved and recognised by the Ministry of Education, University and Research (MIUR). Please also note that this program is not accredited by TEQSA, ASQA or any regulatory body in India or overseas. 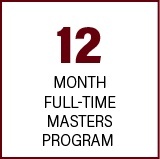 This program is unlike a traditional MBA or a Master’s program in Management. 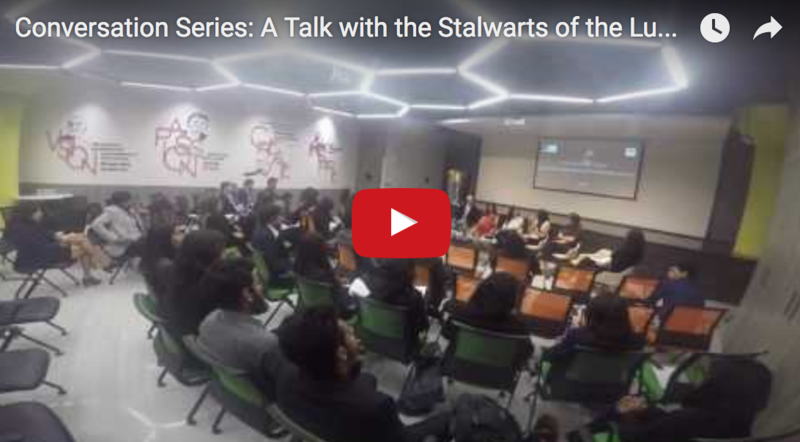 It offers students unique perspectives on issues very specific to luxury brands and services. As a student of the program, you will approach luxury goods, services and experiences from multiple points of view – marketing, logistics, brand management, communication and financial management. You will spend time in top luxury and fashion capitals, understanding global trends, cultural issues and their resulting impact on luxury businesses. You will interact with some of the world’s top leaders and opinion makers in luxury management, and understand how they create exclusive products, services and experiences for high net worth clients. As a result, you will be prepared for a global career in luxury management. 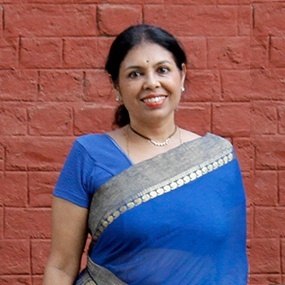 A unique feature of this 12-month program is that students live and study in Mumbai and Milan. The diverse locations of study is one of the most compelling and distinguishing aspects of the program as it helps students to observe and experience luxury brands and products in emerging as well as mature, first-world markets, and develop the skills needed to tackle issues of global perspectives while weighing in regional and cultural paradigms. Through class room sessions, case studies, study tours, industry interaction and Company visits, networking meeting with business associations, entrepreneurs and businesses in Milan and India, participants will get an in-depth understanding and knowledge of the entire gamut of the Luxury industry both in matured and emerging markets. The 4 months that students spend in Milan also include dedicated study tours to Europe’s top luxury districts. Through trips to the Champagne Wine Region, the leather markets of Florence, popular watch brands in Neuchatel and luxury car companies in Stuttgart and Munich, the program dives deep into every aspect of international luxury management. 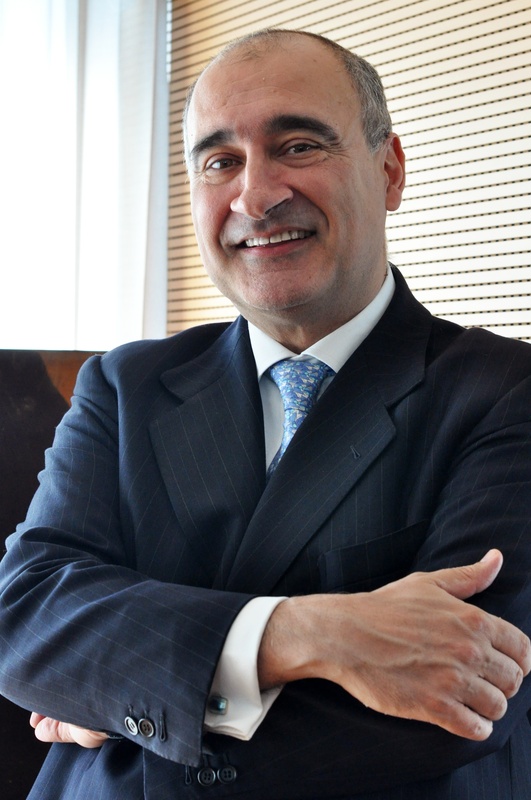 Two well renowned, well-established players in the education space - SP Jain School of Global Management (one of Asia’s top-ranked global business schools) and MIP Politecnico di Milano Graduate School of Management, Milan (ranked among the best European business schools) have come together to design this Master’s program. Thirteen-year-old SP Jain has gained its global reputation from its unique model of business education that has resulted in higher employment outcomes for its students. Today, SP Jain graduates work at companies like Google, Facebook, Apple, World Economic Forum, McKinsey & Co. and the Boston Consulting Group, all global corporations. MIP is known worldwide for its deep ties to the luxury industry, and for its knowledge and reputation in the luxury value chain management. MIP is also strongly supported by the Faculty of Design of Politecnico di Milano, which is the largest one in Europe. On successful completion of the program, you will receive an internationally recognised 'Master in Global Luxury Goods and Services Management' degree from MIP. The program is accredited by Politecnico di Milano and the degree is approved and recognised by the Ministry of Education, University and Research (MIUR). 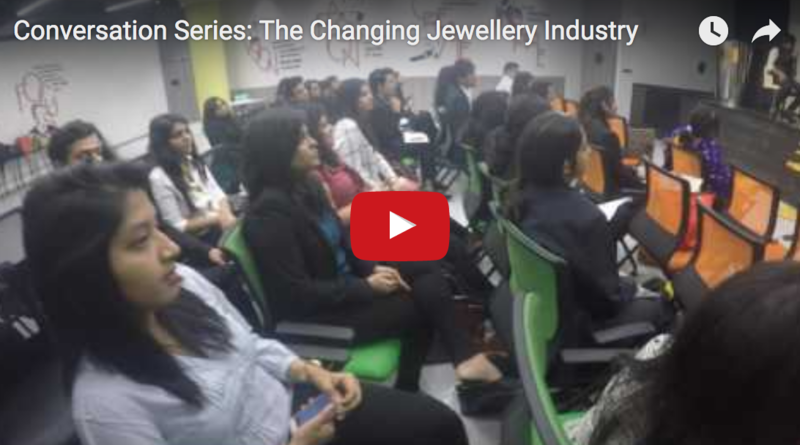 This course exposes participants to the world of global luxury and relates to emerging luxury markets like India. The industry centric curriculum and real life projects, both in India and Milan, gives them a complete grip over the developed luxury markets and rapidly growing emerging markets. On successful completion of the program, graduates will witness huge opportunities in the luxury and premium goods/services sectors in India and abroad. Graduates may consider applying their knowledge and skills in the fields of marketing, sales, branding, communication, operations and product development in fashion, automobiles, services, consulting and e-commerce companies. The Career Development teams of S P Jain and MIP organize networking events and industry workshops for students throughout the course of the program. This collaboration facilitates mentorship and gives students access to a wide network of professional contacts that can be leveraged over the course of their careers. Participants of the program are guided and stimulated by a world-class body of local and international faculty comprising highly skilled industry experts and leaders. Their repertoire of industry experience and research background establishes them among the leaders and opinion makers in the industry. By joining the program, participants have the opportunity to develop their knowledge with the guidance of faculty that is strongly dedicated to the creation of an intellectually stimulating classroom – where new ideas are initiated, developed and launched. MIP has increasingly been collaborating with top business schools and universities in the world and the latest addition to our list of partners is SP Jain School of Global Management, Mumbai which is one of the most reputed business schools of India and with a strong international reputation, thanks to its global campuses in Dubai, Singapore and Sydney. This partnership involves the launch of our brand new master program in Global Luxury Goods & Services Management. This unique partnership will allow students to study partly in Mumbai (which is the financial capital of India and most importantly the biggest consumer market for luxury products in India) ---- and in Milan (which is the business hub of Italy and the fashion capital of the world – home to more than half of the world’s top luxury brands and designers). We are glad to have entered in this partnership which will allow candidates to gain first-hand understanding of the luxury industry in Europe and the application of marketing, sales and retail concepts in emerging markets like India. I am pleased and excited to share the news that MIP will be joining forces with SP Jain School of Global Management, to launch a new master programme in Global Luxury Products and Services Management. finally, a study tour through half a dozen of the most important luxury districts in Italy and Europe (from german cars to watches in Switzerland, to leather and champagne in France), will allow students an up-close-and-personal view of the processes behind-the-scene, with factory and showroom tours and meeting with managers and executives. Selected participants will have the opportunity to conclude the master with an internship in a partner company. The programme enrolment has just started. Are you going to be one of the lucky few? There is a visible shift towards consumption of Luxury products and services in India… The definition of Luxury or even attitude towards Luxury is very different in India, compared to developed or even other emerging economies. India is one big country but it is very important to understand that it cannot be treated as one big Luxury market. We could divide the country into East, West, North South and Central Zones. The motivating factors to buy luxury is different in each zone and hence, it becomes imperative for all, in the luxury space to understand the nuances and the factors effecting the same. The ‘MGLuxM’ program is going to deep dive into the various facets of luxury both from Indian, as well as, international perspective. The participants of this program will get an opportunity to get in depth understanding of the Indian luxury market and also similar luxury markets in Europe. By the end of the program, students would be best equipped to start their careers or set up entrepreneurial ventures in the luxury space. They would be able to correlate the distinctions of the developed European luxury markets and the whimsical nature of the Indian emerging luxury markets. 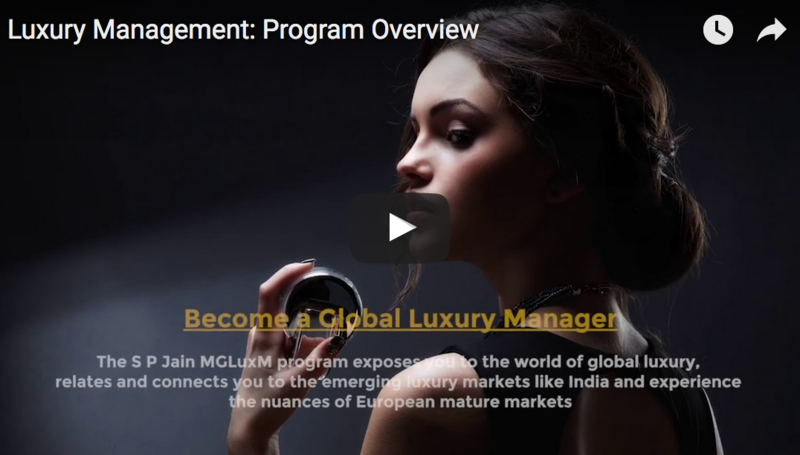 I am very excited about the MGMLux program as everyone is looking to India as the prime destination and this program would add tremendous value to the participants who enroll for this program. Participants with excellent written and spoken communication skills (proficiency of the English language is a must), leadership and managerial skills, and the willingness to meet the demands of a rigorous Master’s degree. The Admission Committee will shortlist candidates based on several criteria, including past academic performance, work experience (if any) and other information provided to us. Normally, this process takes up to 5 working days. Shortlisted candidates will be called for further evaluation (Evaluation Fee of Euros 100 to be paid before the evaluation). Evaluation Process: Written & Personal Interview. A verification process will be conducted by MIP Politecnico for candidates who have been selected for admission to the program. On successful verification, an offer is made within 10 working days. Candidates must confirm their acceptance within 2 weeks of receiving the offer by paying the Registration Fee. SP Jain, in its endeavour to encourage meritorious students to excel in their academic and career paths, is inclined (without any commitment) to offer scholarships to selective candidates joining the MGLuxM program. There are various levels of scholarships granted, based on a holistic view of the candidate’s profile. It is granted at the sole discretion of the Scholarship Committee. 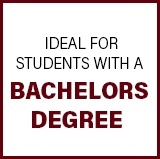 Most institutes give scholarships based purely on academic performance, but we believe that apart from academics a student needs to have a well rounded personality. All applicants will be considered for scholarships (Academic or Leadership) at the time of selection to the program. There is no additional application required. Please note that candidates who receive scholarships must maintain a required GPA and abide by the Code of Conduct during the course of the program. Admissions are open for the August 2019 intake. 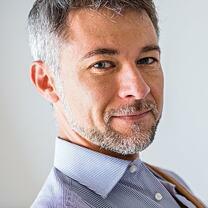 Become a Global Luxury Manager. Start at SP Jain.